Brighten up mealtimes! Taste and colour combos that are sure to be enjoyed at the dinner table, even by the kids! Excellent winter vegetable. Sow April-June. Harvest July-November. 6m seed tape. 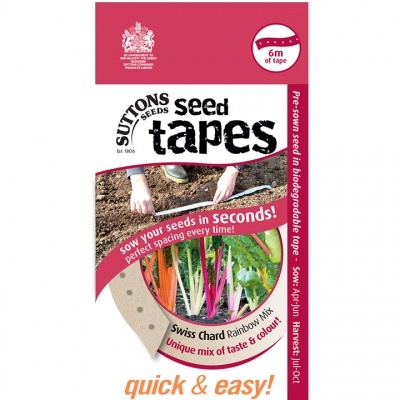 We’ve developed a new range of seed tapes that make seed sowing and crop planning easier than ever! Our top quality seeds are pre-spaced in a biodegradable tape which can be simply rolled out, covered with soil and watered. Choose a sunny spot in the garden with weed - free soil. Dig and rake the soil to a fine crumbly surface. Using the corner of a hoe or rake draw a groove into the moist soil.